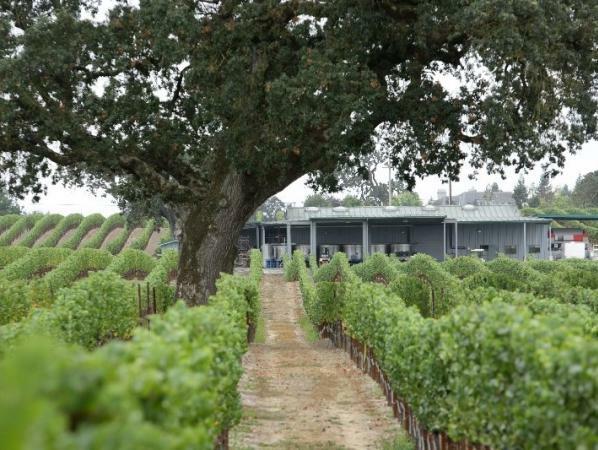 "Walter Hansel was a lifelong wine enthusiast who had the vision to plant his estate's original 250 vines in 1978. Today, Stephen, Walter's son, has taken up where his father left off, pursuing his vision of producing world-class Burgundian-styled Pinot Noir and Chardonnay, all from the Russian River Valley. All of Steve's fruit is hand-harvested, and it is re-examined again at the winery. Hansel makes an average of 9 total passes through each vineyard. Each pass is time consuming and expensive but Stephen feels the vine rewards him with more concentrated flavors. The winery uses only natural yeast during fermentation. Fining and filtration are minimal. The Pinots are held on the lees without racking for 12 months. The Chardonnays are whole cluster fermented and gently pressed to extract the juice. The cooperage varies from year-to-year, cuvée-to-cuvée, but none of the wine is aged on entirely new oak. One- and two-year-old barrels are always employed."